As our campaigns go from strength to strength, requests for advice, information and support grow ever greater. Fathers 4 Justice accepts NO money from solicitors, government or any other organisations which might compromise the integrity of our campaign. But a successful campaign like Fathers 4 Justice doesn’t run on thin air. We rely entirely on your donations to fund our help lines, web site, admin team, production of reports, research, campaigns and protests. 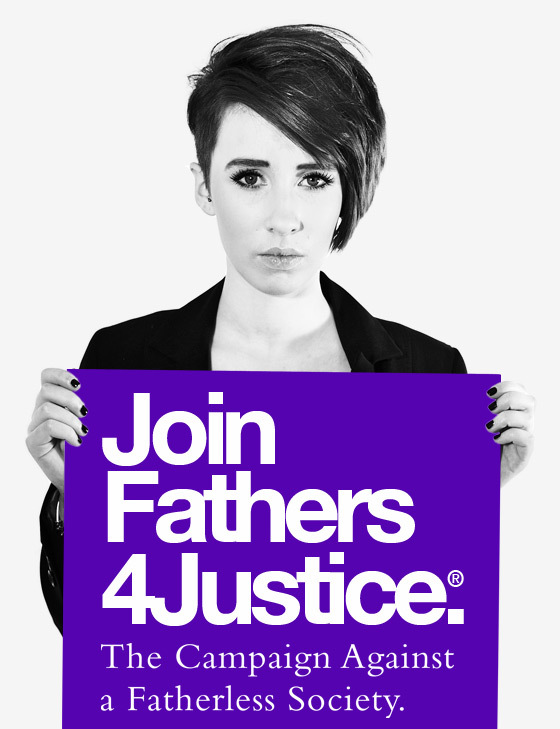 Only with your support can Fathers 4 Justice begin to change Family Law. Please support us – and get your friends to do the same. By making a donation, you can make a positive difference to families who have been separated in secret family courts and help us change the law to make equal parenting a reality for every family in the UK. Please select whether you want this to be a once off donation or billed monthly. Please enter your credit card or debit card to pay securely via Stripe. By checking this box you confirm you are happy for Fathers 4 Justice to collect your personal data.